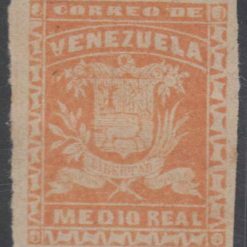 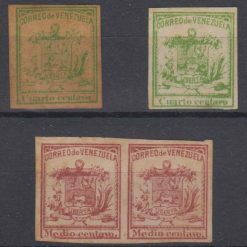 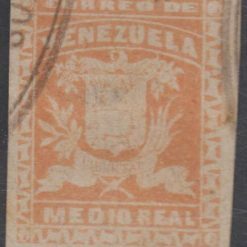 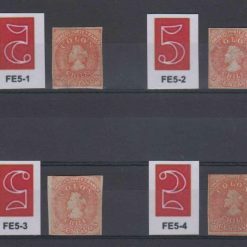 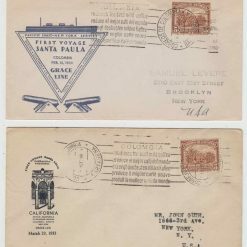 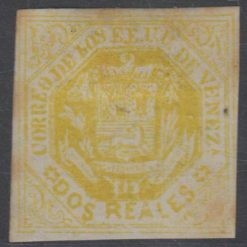 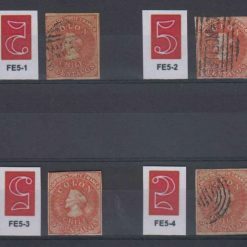 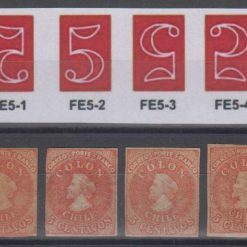 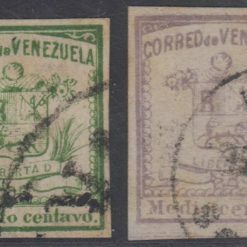 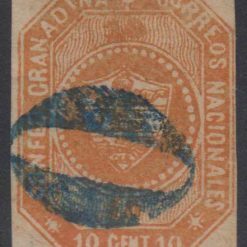 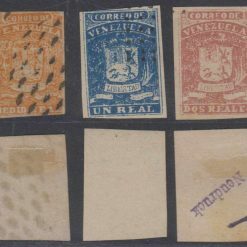 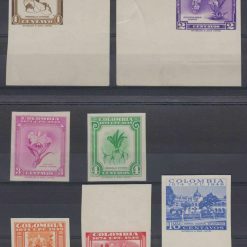 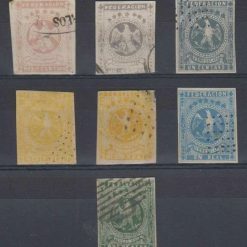 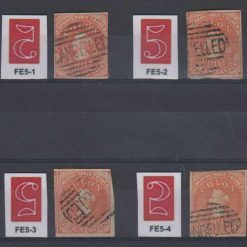 View cart “COLOMBIA 1859 Sc 4e RED ORANGE CHOICE BLUE NUMERAL “0” CANCEL SCV$90.00” has been added to your cart. 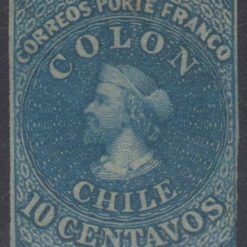 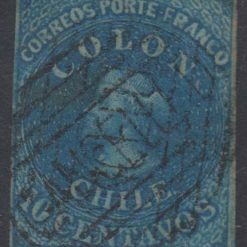 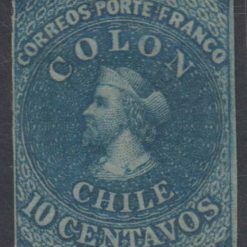 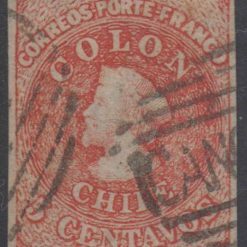 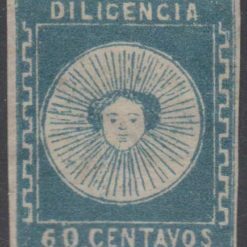 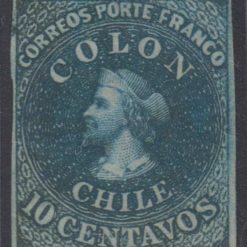 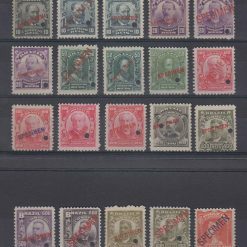 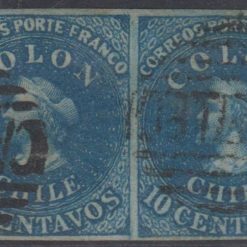 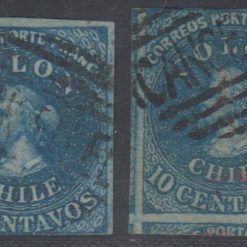 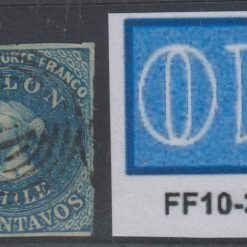 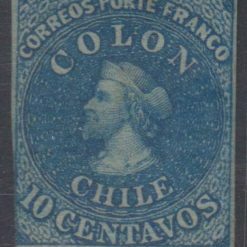 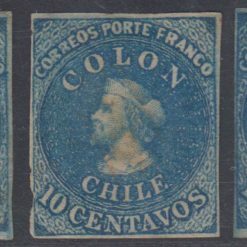 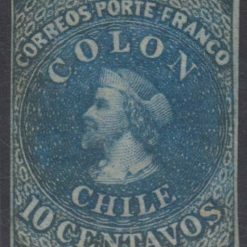 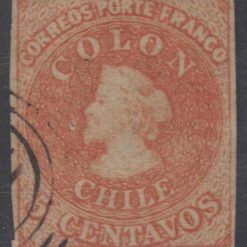 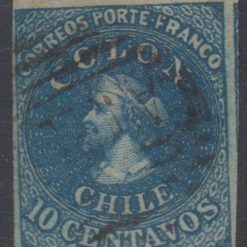 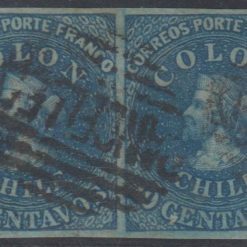 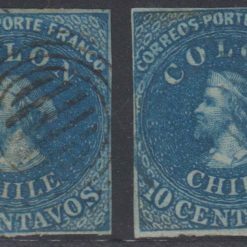 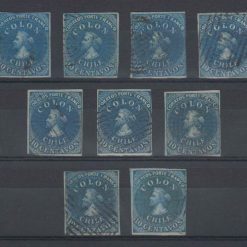 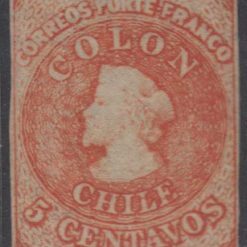 CHILE 1862 COLUMBUS Sc 12b MAJOR PLATE FLAW BLUE LINE + DOT IN “N” UNSD VF RARE! 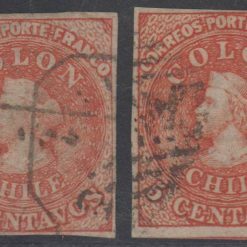 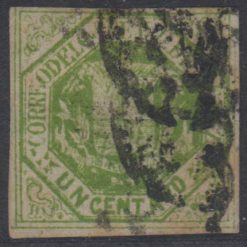 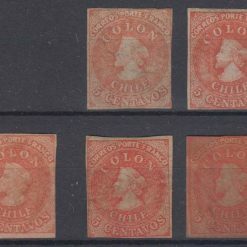 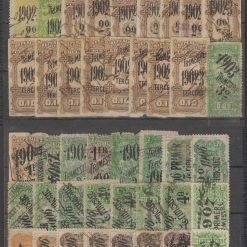 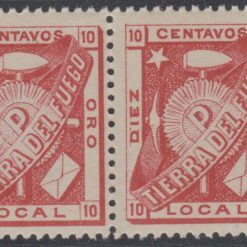 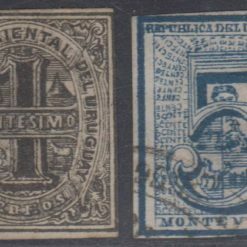 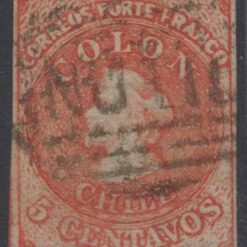 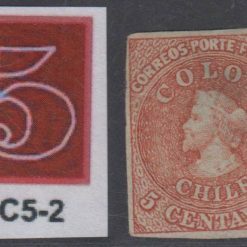 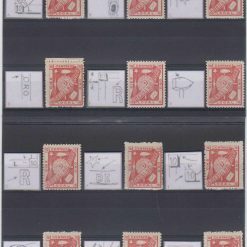 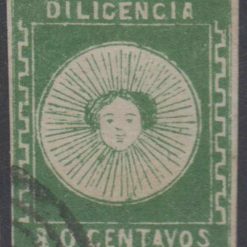 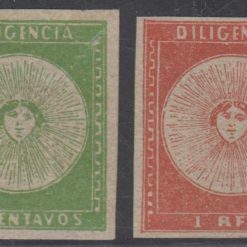 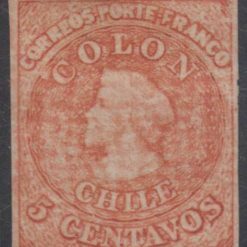 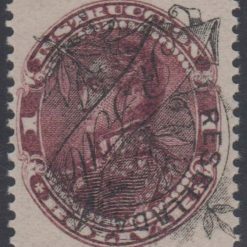 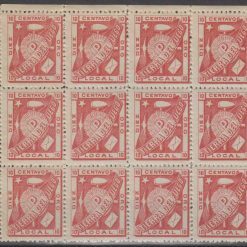 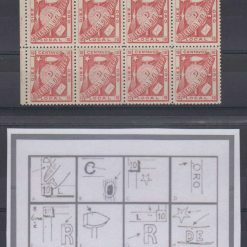 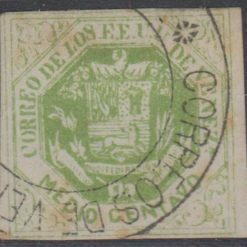 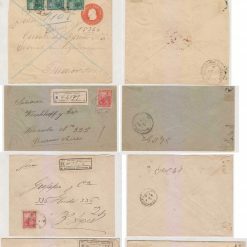 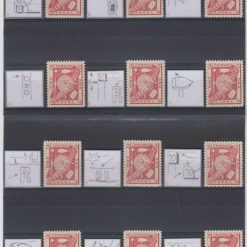 CHILE 1862 COLUMBUS Sc 12 PARTIAL DOUBLE IMPRESSION USED UNCOMMON!